Does music fascinate you around? Are you often travel and do get annoyed by surrounding noise? Sony's new headphones might be just for you. 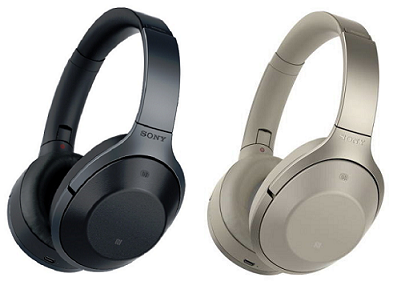 MDR-1000X is a Sony's best ever noise canceling headphone available right now in the market. Its great, its upgraded, it had excellent noise-cancelling system inbuilt. Sony just unveiled this device at IFA trade show in Berlin with the best noise canceling headphone ever. Now listeners can focus on music sound quality and still be able to set noise levels surrounding such as they can still hear someone calling. A filtering process enables the user to gain ambient sound frequency in such a way they won't get totally immersed into music. Sony's Sense Engine will allow a user to set the ambient levels so that they can stay touch with surrounding voices. Sony's new MDR-1000X headphones feature powerful noise cancellation modes that help user filter out different levels of surrounding noise. If you want to focus on some conversation or willing to pay attention to something, just cover the right ear piece to lower the music volume and it amazingly adjusts the noise levels. nevertheless, there are three distinct modes available for users which can be switched or used anytime on the go. Headphones can support 20 hours of music with noise cancellation active. In terms of quality, Sony is impeccable. Sony is accepting pre-order at Cannes. Costing at approximately $400 Sony's new MDR-1000X is a hearing Masterpiece.